Matrix Shad users had great success this weekend while using Matrix and Vortex products at the 2016′ Faux Pas Invitational inshore divisions. 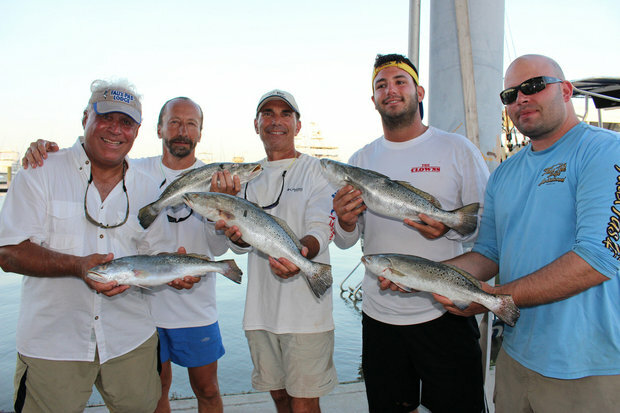 The ‎”Creme De La Creme” of this tournament’s categories is the inshore Grand Slam Calcutta. This category is for the largest combined weight of a flounder, trout and slot red fish. This year it was won by a familiar face and expert trophy trout hunter, Dr. Mike Kleamenakis, who is a firm believer in the Matrix Shad and faithful user of the products. Dr. Mike is the “El’ Capitan” of “Team Big Clowns” and is one of the more knowledgeable big trout fisherman in the Venice area. He has spent many years chasing trout up and down the mighty Mississippi with an emphasis on big trout and we are not talking about 20-24 inch trout. We are talking about the big girls, five to nine pound trout. That is the caliber of trout you have to be after if expecting to compete in one of the largest and most competitive tournaments on the gulf coast. 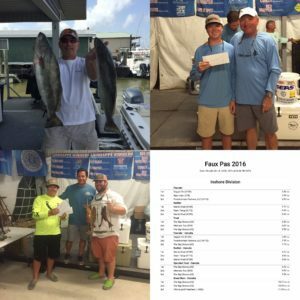 The Faux Pas Invitational is one of the most respected tournaments on the gulf coast and Dr. Mike is no stranger to success at this event. While I was interviewing Dr. Mike about this years strategy and game plan, I learned some trout techniques myself that he uses to put monster trout in the boat that I too will use soon. A perfect game plan was put together by team Big Clowns and perfectly executed. 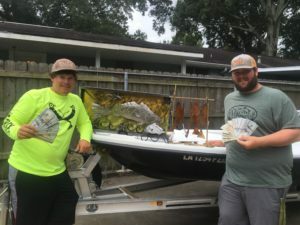 They focused on areas way down river to target big trout but had flounder and redfish scouted out in areas much further to the north toward the Delacroix area. On day one they headed south in search of the most important of species to start their stringer. 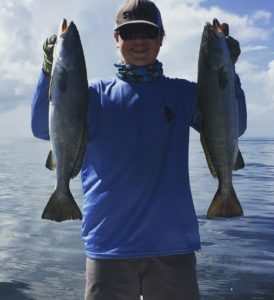 Big trout was their focus, needing one over six pounds or so to have a shot to compete in largest trout Calcutta and to have a good jump start on the Grand Slam division and also the largest five fish trout stringer. They used live bait mostly for the trout and caught very few, but numbers of fish is not what you are looking for when chasing tournament winners. 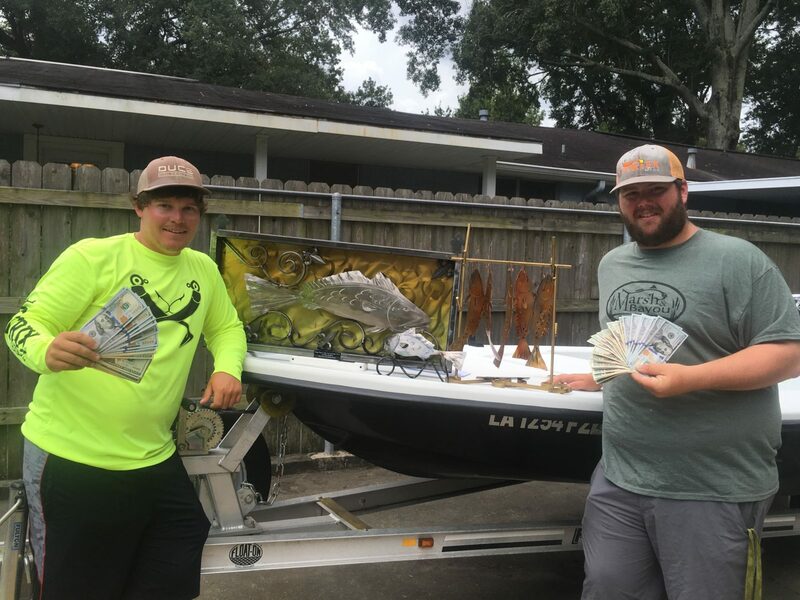 They executed their game plan to perfection boating a whopping 6.33 and a 5.58 pound trout to go with a few more that put them in a commanding lead of the largest trout and a strong hold on the five fish stringer lead totaling 23.57 pounds. Big trout was far from team Big Clown’s biggest of concerns. Flounder is the species that gives this team fits every year. Flounder is one tough species to focus in on in Louisiana. It is typically caught as an accidental by catch so when the pressure is on to produce one it can be challenging. Team Big Clowns felt pretty good where they stood with their trout catch so the remainder of the trip was dedicated to flounder and reds to complete the grand slam. Mike’s game plan on winning the Grand Slam meant he would have to travel 60 miles one way from where he was fishing for the trout to target flounder and reds. So Mike pointed the boat north and after an hour plus boat ride toward Delacroix they started chunking Matrix Shad’s on a 1/4 oz head. 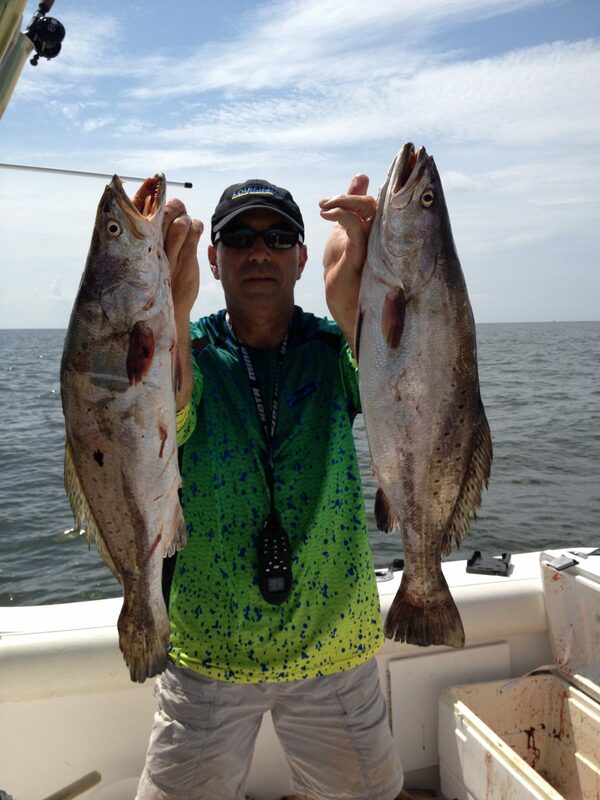 Mike is a huge believer in the “Avocado” colored Matrix Shad for flounder and thats what they through all afternoon. After grinding away all day looking for a solid flounder and red fish their goal was finally accomplished. They landed a 2.74 flounder and a 6.03 slot red on the avocado Matrix Shad and headed back to the scales feeling very confident with their efforts and results after day one. They spent the next two days trying to upgrade their weights but never could nor did they need to. 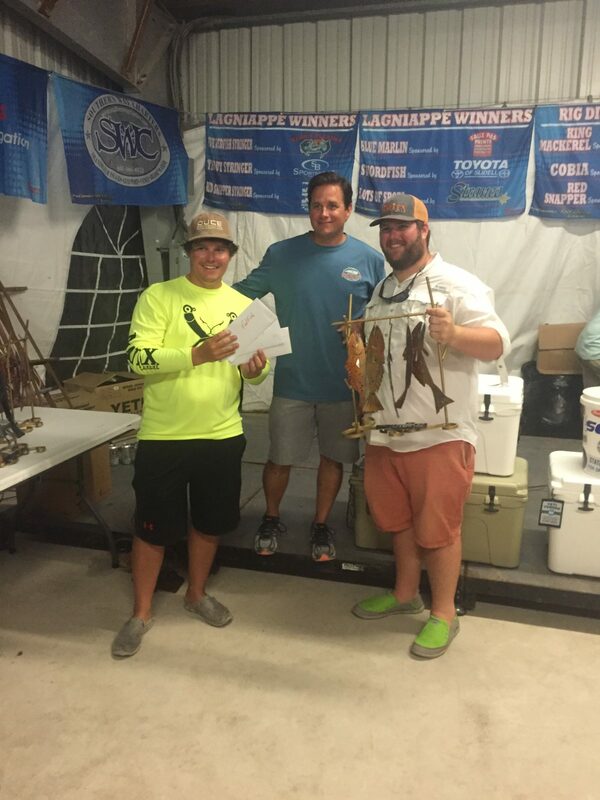 Their impressive day one catch resulted in a 1st and 3rd place Calcutta trout, 1st and 2nd place Inshore Grand Slam, and 1st place five fish trout stringer. 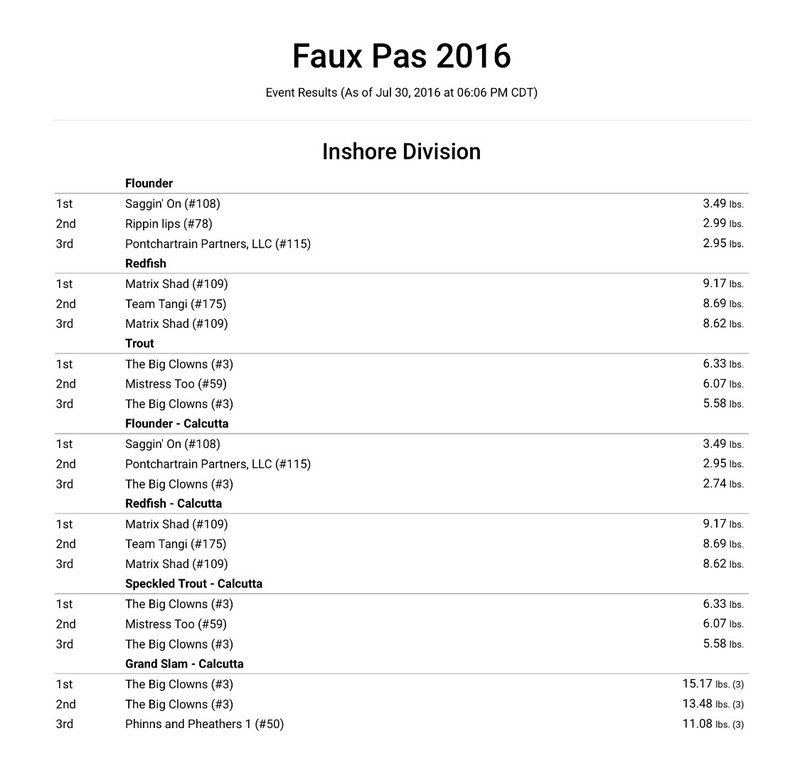 Needless to say team “Big Clowns” weren’t clowns after all as they cleaned house at the 2016 Faux Pas Invitational. Matrix Shad Pro Staffers Ty Hibbs and Ryan Schellhaas did not have trout on their agenda at all or any other species except one. 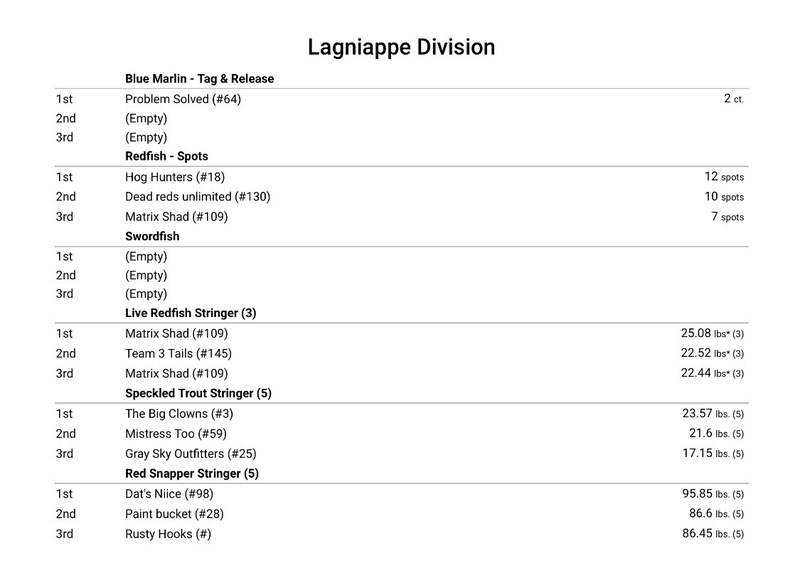 There team name was simple because that’s all they used, “Team Matrix Shad” and team Matrix was after one species, red fish. Slot reds to be exact or pumpkins as they call them. Unlike the other categories in the Faux Pas, Ryan and Ty get penalized in the division they fished if they bring in dead fish so that puts an entirely new obstacle on their game plan. They have to make sure their fish stay alive and kicking each day to avoid poundage penalties in the category their main focus was on which is the live red fish category. This category is the grand total of three live slot reds with a half pound penalty. Captain Ty and Ryan had a flawless plan. They slept in a camp near the weigh in and trailered their small beaver tail flats skiff every morning across the river by hopping on the ferry in thoughts of avoiding the dangerous Mississippi River in such a small boat. They launched every day on the east side of the river and sight fished big fat reds in the skinny waters of the Point La Hache area. A good call it was as they pitched the Vortex Shads in the “Spartacus” and “Purple Haze” colors on spinner baits and on 1/4 oz jig heads. They caught big slots every day with a giant nine and a half pounder kicker on the last day that died while they were in transit so they had to take the half pound penalty. 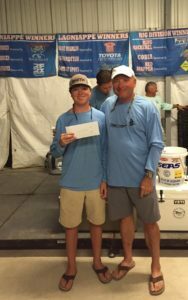 This fish was so big even with the deduction it still was big enough to capture first place Calcutta slot red at 9.17 pounds. 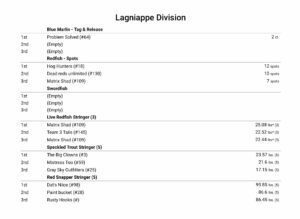 “Team Matrix” also took 3rd place slot red with a 8.62 pound red which put them in a commanding position to win it all which they did. They tacked on another 7.29 slot red which put them way ahead of the field at 25.08 pounds on an extremely impressive three slot red stringer. Team Matrix even snuck in a 3rd place most spots with a little luck landing a red with 7 spots. Here at Matrix Shad we are so excited when our supporters and members have success while using our products and it is so gratifying to see our designs help anglers win tournament. A special congratulations and thanks to Dr. Mike with “Team Big Clowns”, Graydon Hall with “Team Gray Sky Outfitters” and Captain Ty and Ryan with “Team Matrix Shad”. 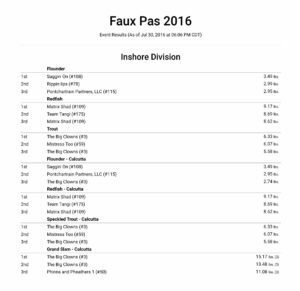 Hopefully Matrix Shad users can have another successful year at the 2017′ Faux Pas Invitational.